Your company doesn’t need to be hit by a zero-day exploit for its customer database to fall into the hands of online criminals. No, all you need is for a careless member of staff to upload your sensitive information onto a cloud server, and leave it accessible to anyone with an internet connection. Time and time again, for instance, we have heard of blunders by multinational companies, government recruitment firms, defence contractors, and more, making the elementary blunder of leaving data on an unsecured Amazon Web Services S3 server that requires no password to access. Such problems aren’t really caused by the cloud providers themselves, but by the organisations using them – failing to do everything in their power to ensure that the web “bucket” they are pouring data into has been properly configured. Amazon Web Services (AWS) has clearly had enough of the bad press, and has announced this week a number of new featured to help customers keep their data as private as they intended. 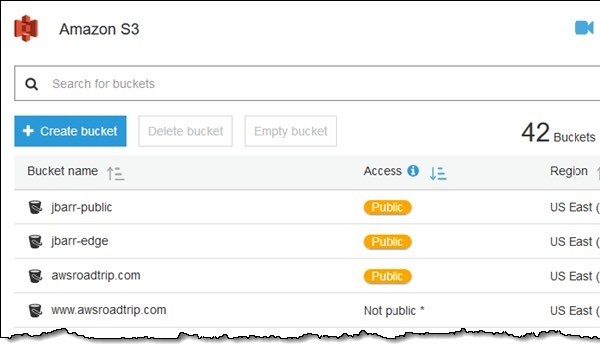 Perhaps the most obvious new feature is a visible warning on the AWS dashboard, telling server administrators if one of their buckets has been left publicly accessible and might be leaking data to the internet. The hope is clearly that system administrators will notice the warning and review access rights to their S3 buckets. But Amazon hasn’t just stopped at displaying bright orange warnings. As Amazon explains, you can now mandate that all data placed in a bucket must be stored in an encrypted form, without having to create your own policy to reject unencrypted objects. Furthermore, you can now request daily or weekly S3 inventory reports that will include details on the encryption status of all stored data. In short, it should be harder than before for companies to leave their data lying around for anyone surfing the internet to scoop up, and simpler for them to have put basic security in place. That has to be a good thing –for the companies concerned, for their business partners and suppliers, and yes, for their customers as well.